When I was studying for a semester in Tokyo, I picked up a lot of Japanese recipes and this afternoon Kasia came to my place to sample my vegan take on some of them. 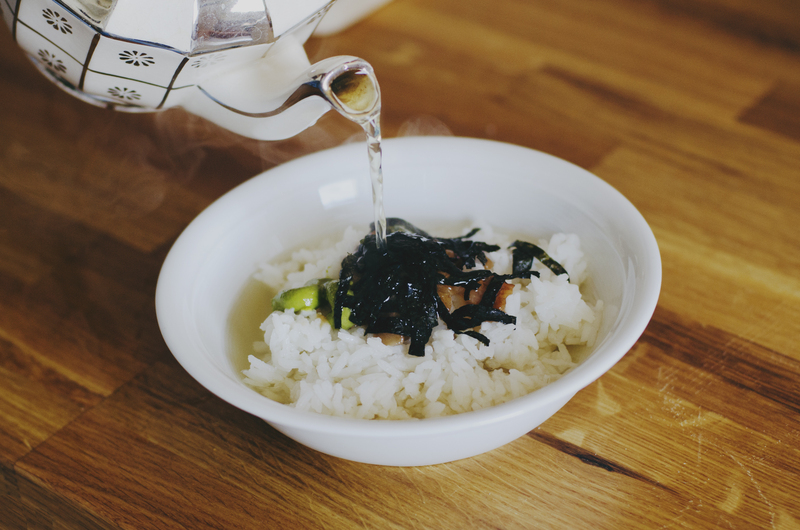 First on the menu was ochazuke, a kind of soup made by pouring green tea over rice, seaweed, sour plums and wasabi – it’s a great comfort food and really healthy too. After that I concocted one of my favourites – a cabbage fritter called okonomiyaki, but this time I adapted the recipe to make it gluten free, using buckwheat flour and chickpea flour and added a bit of chili paste for taste and colour. I topped it off with a sauce made of black tahini, lemon and olive oil. I then sprinkled it with chopped fresh basil and chili flakes as a garnish. Of course it’s just as delicious with white tahini. 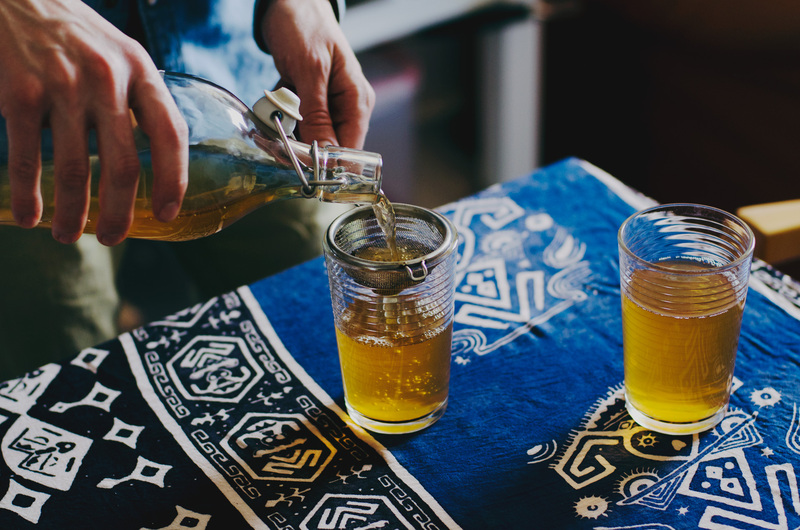 I’d also had some freshly brewed Kombucha tea to wash it all down.